With so much tragedy in the world today, sometimes it feels like all news is bad news. Fortunately, there are good people who want to help make the world a better place. No one can fix everything, but everyone can help with something. Donating to a charity and knowing your contribution is making a difference is one of life's greatest satisfactions. Before giving money to a charity, you want to make sure the organization is legitimate and your donation will actually reach those in need. All too often, we hear reports of charity scams. Doing your research ahead of time allows you to rest assured that your gift is going to help the cause you care about. 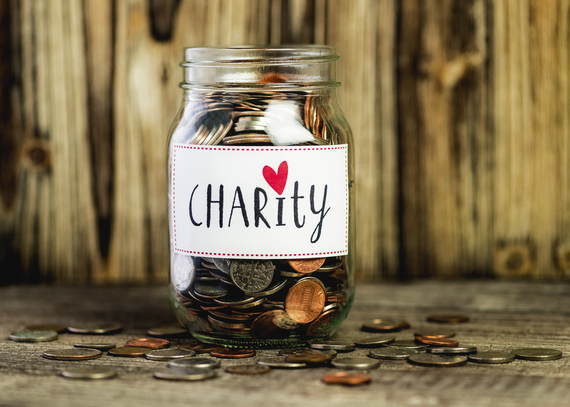 The following online resources can help you research a charity before you give. 1. The IRS Nonprofit Charities Database has a tool called "The Exempt Organizations Select Check Tool". This tool allows you to enter the name of an organization and see if the organization is exempt or not. It is important to verify that an organization that claims to have a 501(c)(3) tax exemption is actually exempt. If the organization is not exempt, your donation will not be tax-deductible. 2. Charity Navigator rates charities based on their financial health, accountability, and transparency to help donors make informed decisions about their contributions. Charity Navigator has evaluated over 8,000 tax-exempt charities. If your chosen organization is not included, you should be sure to find out why. 3. GuideStar maintains information on 501(c)(3) nonprofits. Financial documents, such as the 990, help you evaluate the legitimacy of an organization. The 990 discloses where and how an organization's donations are spent, including the earnings of top officers. All nonprofits are required to have up-to-date 990's available to the public. If an organization does not have this info readily available or is not forthcoming if you request it from them, you may want to reconsider your donation. 4. Charity Watch rates charities on specific criteria. Advice, articles, and basic information are open to the public, but members-only access gives further insight into specific charities. With the goal of advocating for donor interest, Charity Watch also exposes instances of abuse. 5. BBB Wise Giving Alliance helps donors by evaluating organizations based on specific standards. There are 20 standards, such as governance and oversight, effectiveness, finances, solicitations, and informational materials, for which charities earn a point each. If an organization does not score a 20 out of 20, your donation may be better made elsewhere. Be careful with giving your credit card number over the phone or to an organization that only wants cash donations. Legitimate organizations typically have options for donating securely. Understand that charities have administrative costs. If an organization claims that 100 percent of your donation will go straight to victims or resources, you may want to investigate further. Trust your instinct; you should feel good about making a contribution. Be careful about donating via text. Make sure you know what organization is receiving your donation follow the instructions. When in doubt, consider making a non-cash donation such a food, clothing, or other goods. Donating to charity is a noble thing to do, but be sure you do your research before you donate your hard-earned money. Looking into the organization and using good judgment will help give you peace of mind that your donation is going towards a good cause. Happy giving! Mike Montali is the CEO of Harbor Compliance, a company that establishes 501(c) nonprofits and helps them manage compliance nationwide. Harbor Compliance assists charities in every state and several countries abroad. Mike is a volunteer mentor and trainer at ASSETS Lancaster.